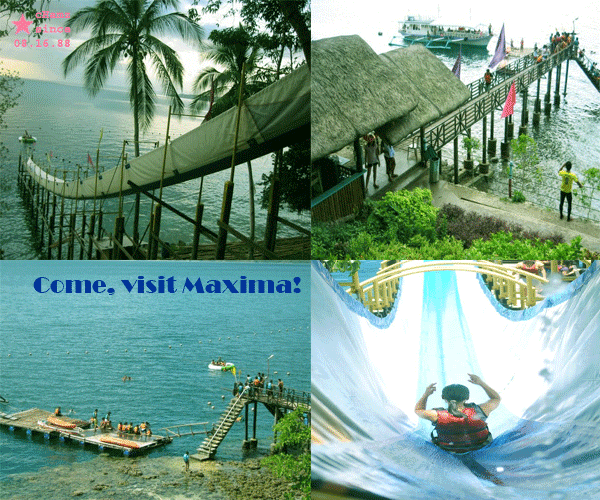 Come, visit Maxima Aqua Fun! I could still remember my first time to visit Maxima Aqua Fun. It was really fun. 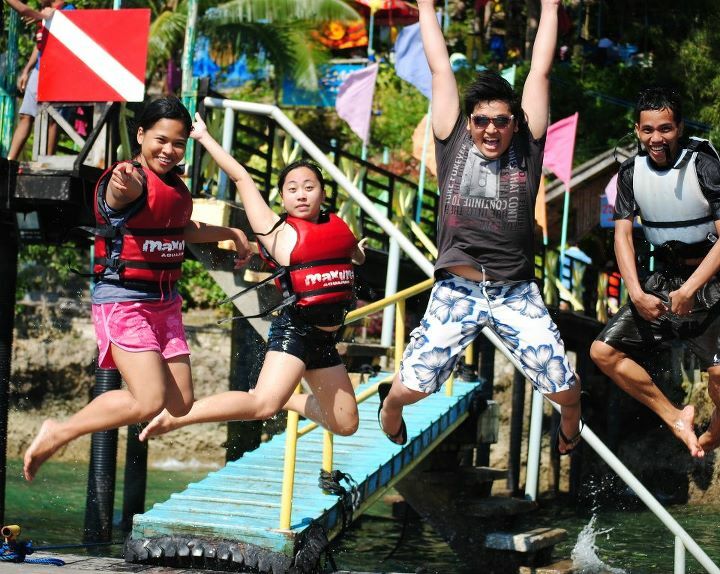 It's not just the beach that made my visit worth it but the experiences I had with the nerve-wrecking tarpaulin slide and the thrill of the diving board. 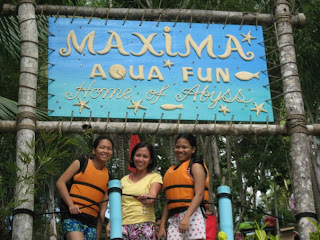 Maxima Aqua Fun is situated in the Island Garden City of Samal particularly in Brgy. Cawag, Peñaplata near Hagimit Falls. It is one of the famous beach resorts in Samal. It is known for it's 40 meter unique giant tarpaulin slide that will surely bring out the best scream you can ever give. You can also enjoy other water activities that they are offering such as kayaking, snorkeling, scuba diving, jet ski and banana boat ride. 1. Unlimited use with the tarpauline slide and diving board. 2. Free use of life vest. 3. free use of tables and chairs. 1. Ride the MV Maxima IV Shuttle from STA. ANA WHARF to Maxima Aquafun Resort. Shuttle Schedule: Available every Friday to Sunday and Monday. Fare: P150 per head round trip.